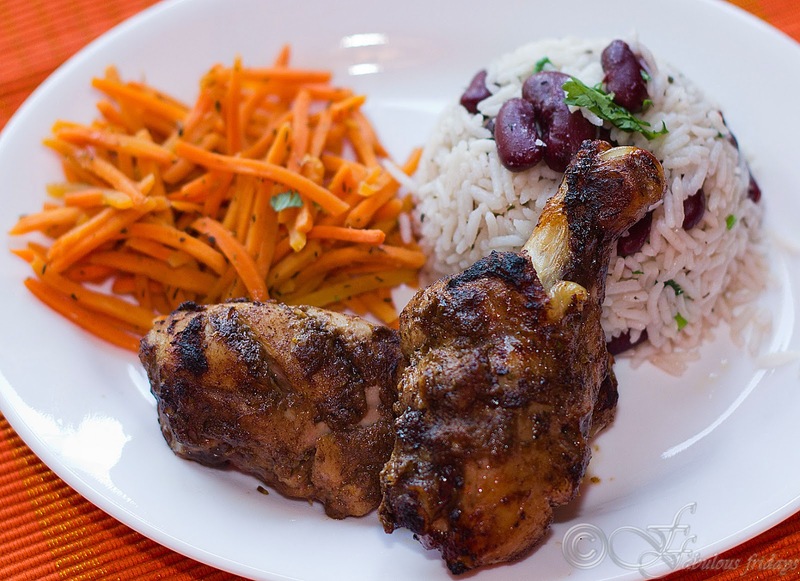 You can use jerk seasoning to marinate any kind of meat. The longer the meat sits in the marinade the better it tastes. I would recommend overnight. 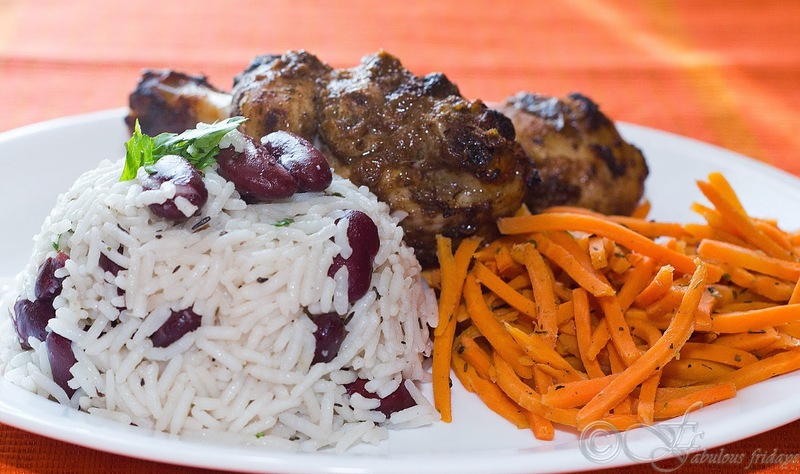 Serve it with a side of rice and beans cooked in coconut milk and orange spiced carrots for a complete exotic experience. Take all the ingredients for marinade in a food processor and blend to form a smooth paste. Add a splash of rum and mix well. Marinate chicken pieces in this marinade for a minimum of 4 hours or overnight. Grill the drumsticks on medium high, turning once till cooked through and crisp. In a sauce pan combine the orange juice, sugar, ginger and pepper. Bring to boil and cook for 2-3 minutes, swirling the pan to dissolve the sugar. Stir in the carrots, reduce heat to medium, and cook 3-4 minutes, until the carrots are cooked but firm. Remove carrots from the pan, and sprinkle with parsley and coriander. Add butter or oil in a small saucepan over medium heat. Stir in chopped onion and garlic, cook until soft, about 3 minutes. Stir in rice and mix to coat each grain with butter. Pour in the coconut milk and water. Season with pepper and salt. Bring to a boil, then reduce heat to medium-low. Cover and simmer until the liquid has been absorbed and rice is tender, about 15-18 minutes. Stir in the black beans and cook for a few minutes until hot.